Bahia Principe Hotels & Resorts promises that special blend of modern amenities, romance and relaxation, and the locations of your dreams, not to mention special family rooms and all-inclusive fun. For that extra touch of luxury, the Don Pablo Collection offers 24-hour room service, unlimited à la carte dinners and butler service so that you can unwind from the moment you arrive. Continue reading for a glimpse at what our Bahia Principe Hotels & Resorts properties in Mexico and the Caribbean have to offer. 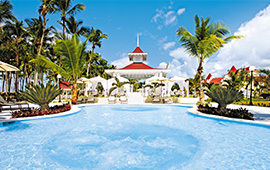 Book your vacation package at Bahia Principe Hotels & Resorts and earn 2,000 Bonus Aeroplan® Miles per couple. Plus, kids stay & eat FREE at resorts that are part of our Play program. 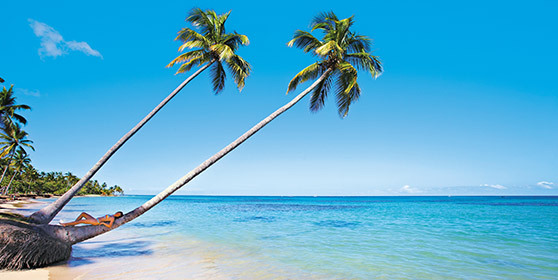 From the long white-sand beaches of Punta Cana to the awe-inspiring natural beauty of Samana, the Dominican Republic has it all. Discover five distinct destinations offering something for everyone. Riviera Maya is home to exceptional beaches and fascinating Mayan ruins, perfect for outdoors adventures on land and in water. 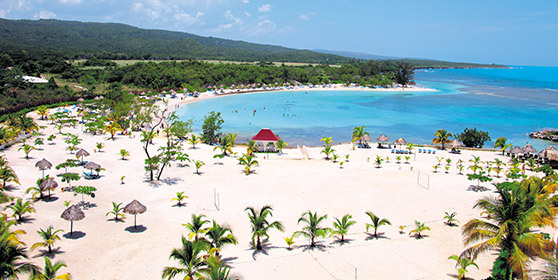 Picture-perfect Runaway Bay is on Jamaica’s northern coast and is considered to be one of the Caribbean’s most beautiful spots. La Altagracia is the easternmost province of the Dominican Republic. Punta Cana is located on the eastern shores of this province. The province was part of the old La Altagracia Province, which split into 2, La Altagracia Province and La Romana Province on February 27, 1961. The name "La Altagracia" commemorates a painting, Our Lady of La Altagracia, which was brought to this area from Spain in the early 16th century. Saint Ann is the largest parish in Jamaica. It is situated on the north coast of the island, in the county of Middlesex, roughly halfway between the eastern and western ends of the island. It is often called "the Garden Parish of Jamaica" on account of its natural floral beauty. Its capital is Saint Ann's Bay. Saint Ann comprises New Seville, the first Spanish Settlement in Jamaica. Saint Ann is the birthplace of reggae singers Floyd Lloyd, Burning Spear, Busy Signal, Bryan Art, Romain Virgo, Chezidek, Shabba Ranks, Justin Hinds, Perfect (musician) and Bob Marley. Marcus Mosiah Garvey, one of seven Jamaican National Heroes, was also born there.